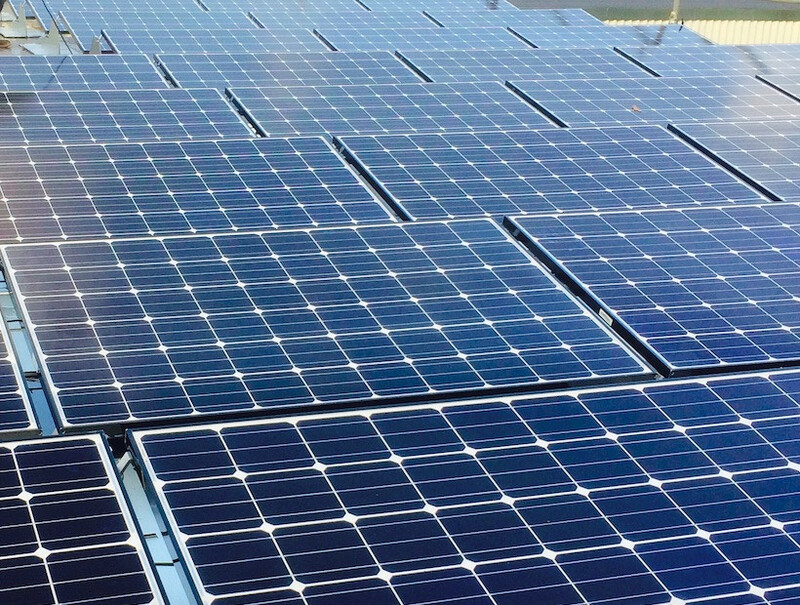 We provide high quality, affordable Solar PV & energy storage solutions for residential & commercial buildings. Our highly competitive pricing means we can typically offer solutions that provide our clients with an excellent return on investment. 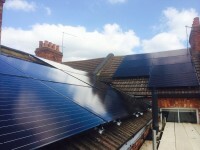 Aniron Renewables have Advanced Installer certification for SMA and Solaredge inverter systems. We are confident that we can provide you an excellent quality system for an extremely competitive price point. 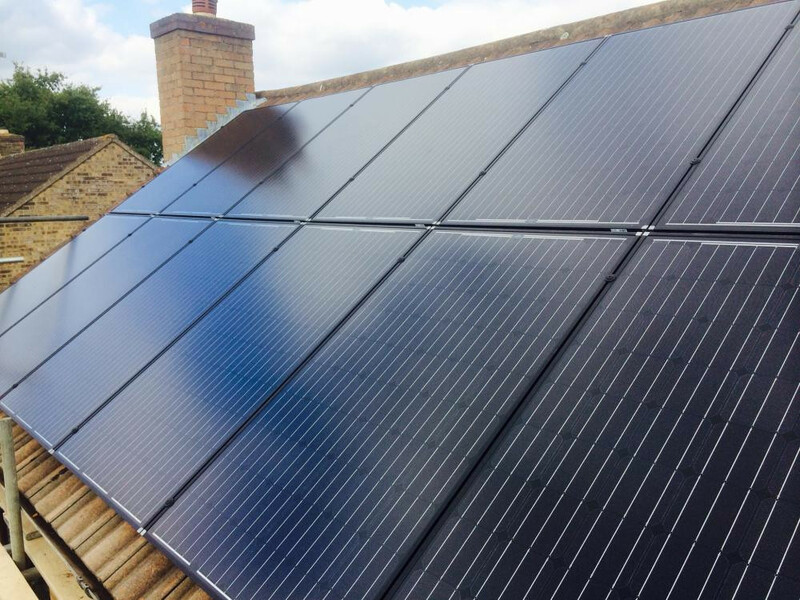 3.87 kw residential installation, northamptonshire 3.87 kw installation for a property in south northamptonshire. 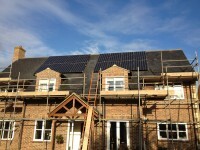 4 kw installation lg mono x 4 kw installation with our black framed lg mono x solar panels on a slate roof. 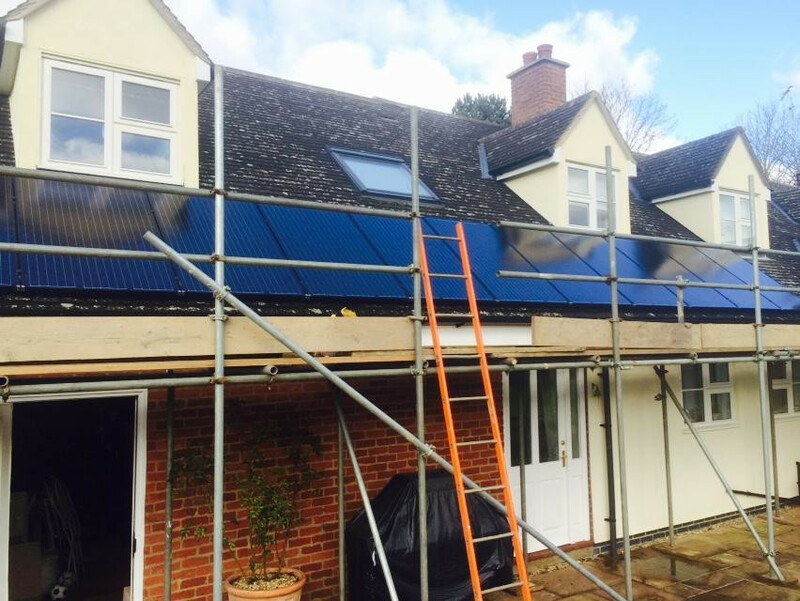 Solarworld mono black residential installation using mono black solarworld panels, which look particularly attractive on darker roof colours. 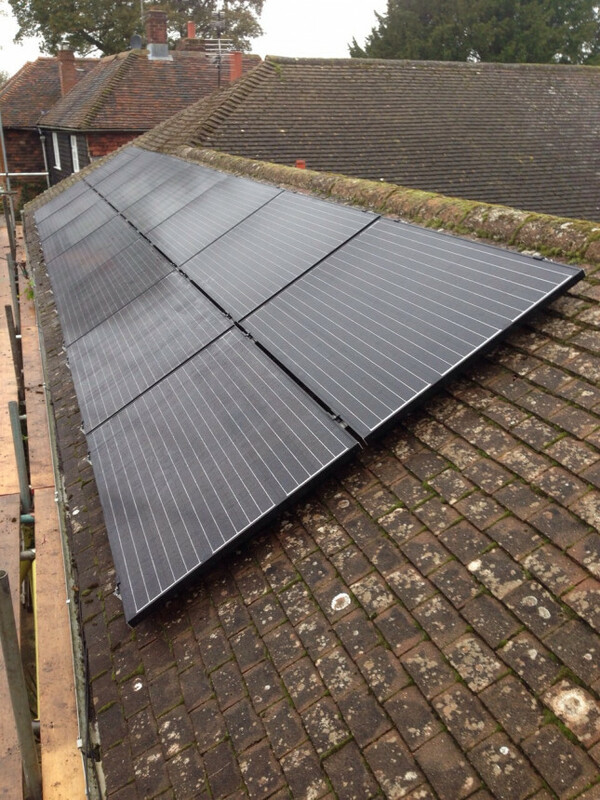 25 kw commercial installation for a london hotel. rowhill grange hotel & spa, wilmington, kent. 25 kw canadian solar panels with sma tripower inverters. 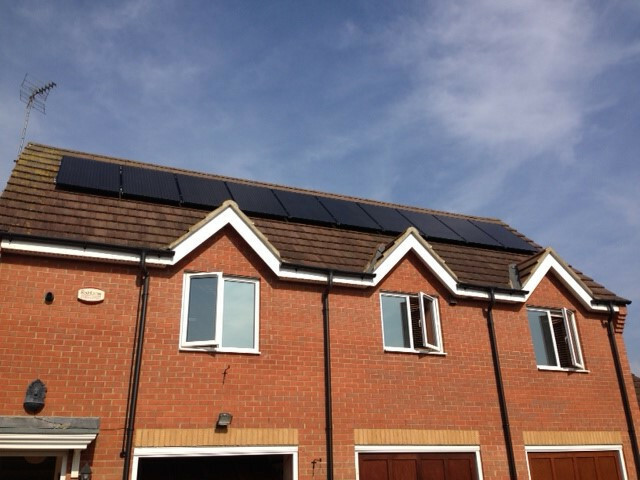 2.5 kw solarworld all black panels 2.5 kw solarworld all black panels, residential installation east midlands. 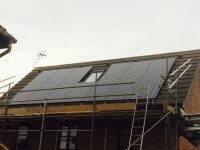 10 kw ground mount system 10 kw ground mount solar pv using solarworld modules and an sma tripower inverter. Solarworld 3.0 kw rooftop solar pv solarworld 3.0 kw mono black modules with sma inverter. Lg mono x modules - 3.78 kw 14 x lg 270w mono x modules with an sma inverter for a very happy client in harrietsham in kent. 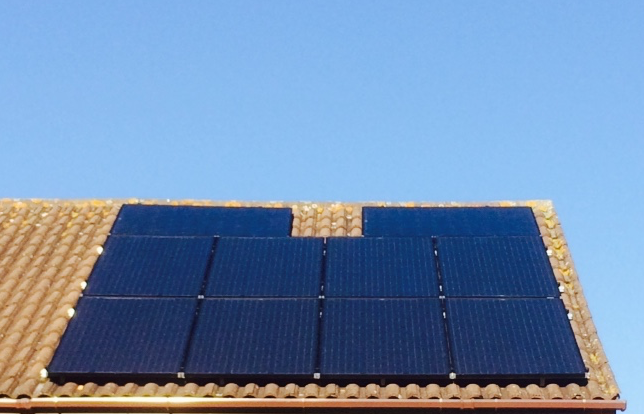 2.50 kw solarworld 2.50 kw solarworld modules, sma inverter. south facing rooftop, with dual orientation of modules. still arranged symmetrically to give better aesthetic appearance. 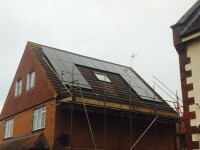 3.25 kw solarworld 3.25 kw solarworld mono black modules. dual rooftop split using sma inverter with dual mppt trackers. 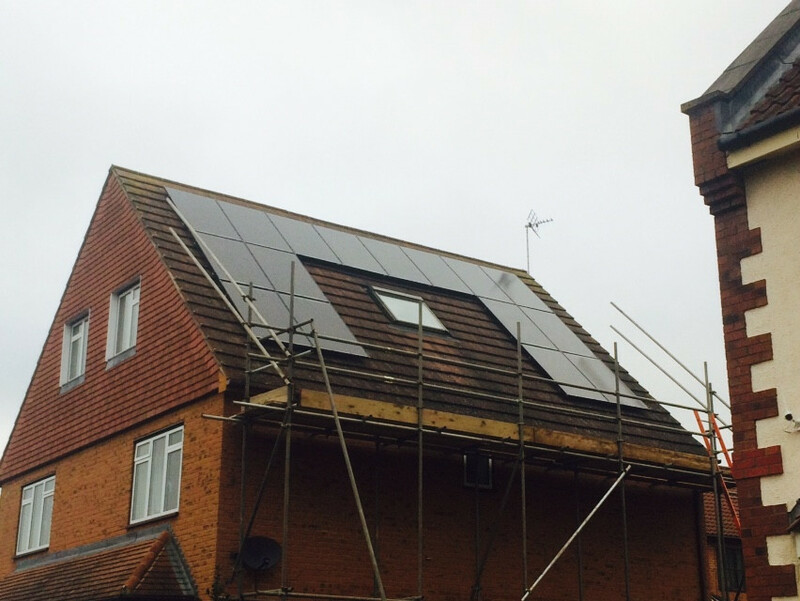 4 kw solarworld residential mono black modules arranged nicely around a velux window on this rooftop. 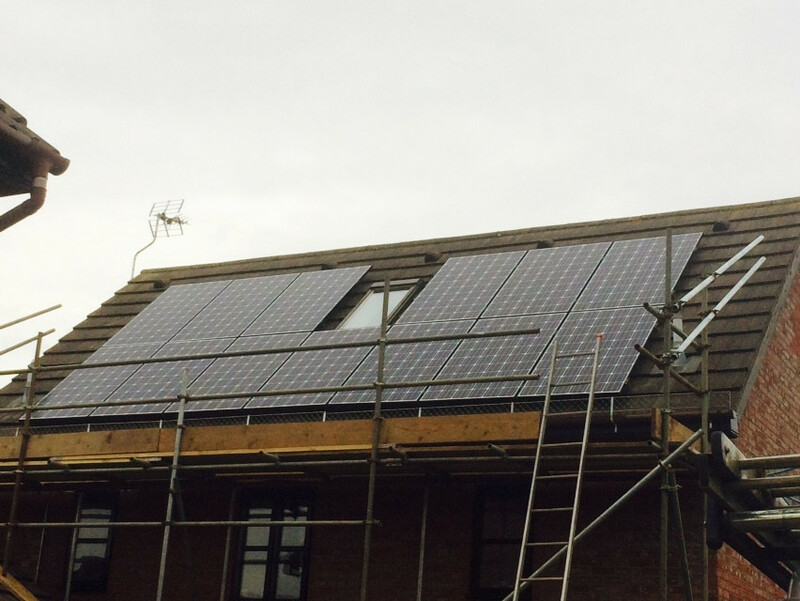 18 kw commercial rooftop lg neon modules installed on a flat rooftop in biddenden, kent. 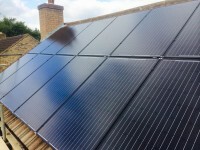 Solarworld residential installation 3.75 w solarworld installation in northamptonshire. I just want to write and thank Aniron for our recent solar panel installation which went without a hitch, was delivered when arranged and completed within a single day. Ian was very helpful pre sales and Brett was brilliant on the day keeping us well informed of progress, and then coming back the following day to fix a minor problem. Many thanks guys. Will definitely recommend Aniron to anyone contemplating solar power. What can I say except what a very professional outfit they are, right from the first telephone call to a snag free installation, they were courteous, helpful, installed to a very high standard and were exceptionally good value. Brilliant. From start to finish Aniron were excellent. There was absolutely no hard sell (a huge plus when I was busy getting quotes from 6 companies) and Brett was able to answer all my queries quickly, putting my mind at rest. The price was really competitive and the installation was really smooth. Everything happened when Aniron said it would and was really quick too. Brett even took great steps to ensure the electrical cabling and internal units were located so that the future renovation work we have planned around the house wouldn't be affected. Top notch. Aniron works very professionally and does give you a full and clear understanding of the products they deal with. As a first time house owner I was satisfied with the way the entire process was carried out from the start and would not hesitate to recommend them to family and friends. Would like to thank the entire team and wish them all the best towards their endeavours. Aniron Renewables provided an exceptional service with a professional team including their scaffolding subcontractor. The initial meeting indicated a firm willing to understand a customer's specific need and configure a solution targeted to those needs. 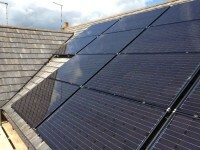 I would unequivocally recommend Aniron Renewables to anyone interested in the installation Solar PV systems. I obtained 4 quotes for my solar panels and 3 of the companies actually visited the property. Of the 3 companies that visited me it was only Aniron who actually did a site survey, the other companies just went through there sales pitch. Once I had all of the quotes in I was informed by Aniron that I did not have sufficient roof space for a 4KW system. When I queried this with the other 2 companies they said Ohh if that is the case we will find out when we send a surveyor over! This made me feel that they were working in their own interest and not mine. I was advised by 2 companies to elect for micro invertors and yet Aniron said that although they would quote me on this they felt that the advantage was not sufficient to warrant the additional cost. 2) I had some additional questions related to the panels and other bits. 3) I like the fact they actually surveyed the property BEFORE giving me any quotations. All of my questions were answered promptly and efficiently. When the other companies were asked the same questions they decided that they had to ring me and this I felt was an intrusion. It was for these reasons that I chose Aniron. They were not the cheapest by I felt that they were doing what was right for me. Having said all of the above since selecting them and commissioning them to carry out the work. I could not have been more pleased with my selection. They kept me appraised every step of the way. All of the team involved acted professionally and kept to the timescales agreed. Would I suggest that anyone uses this company then I would say without a doubt YES. If you want someone who will give you the information and answer any questions that you may have without a constant sales pitch then Aniron is the company for you. 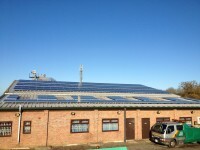 After getting quotes from a number of companies we selected Aniron Renewables to install our solar panels. There was no hard sell, just information about different panels, inverters etc and help and guidance in making a decision. The quote was not provided there and then. Sesh went back to the office to put a quote together giving us various choices and options. We were also advised not to fit an Iboost until we saw our generation versus usage, so we could establish if we had extra capacity to make us of it. On the day of installation Aniron has said they would arrive at 07:30 and in fact they were early, I wasn't expecting them on time!! 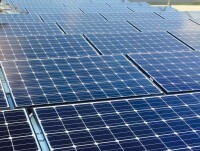 They worked hard and the panels were installed much quicker than we had expected. The internal works were carried out with great care, they treated our home with respect. It was good having help from Brett to complete the paperwork for our electricity supplier and all the other paperwork that we needed for the electricity supplier was emailed on the same day. The monitor tool is brilliant, watching the power generated versus the power being used is fascinating. Would highly recommend Aniron Renewables. Aniron have a very professional approach from initial engagement through to installation and after service (todate). I would recommend them unreservedly. From the outset Aniron showed true professionalism. The response was very quick, (within minutes of contact Sloar Quide). The team arrived when they said they would, we were kept fully informed through out the process, The guys whilst professional were very friendly and approachable. The system was up and running swiftly and smoothly. I would congratulate Sesh on his approach of ' No hard Sale' he explained the product and the way it worked, went away and left us to make up our minds. I would not hesitate to recommend them. The Aniron team were courteous and professional throughout the project. All the work was carried out promptly, and in a structured and organised manner. We were kept informed of progress throughout the project and they were happy to answer all our questions about the installation. We could not be happier with the end result which looks great and is generating power in line with expectations. Have recommended Aniron to friends also considering solar. 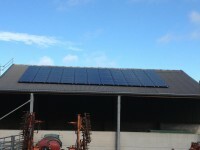 Solar panels up and running within 2weeks of meeting. I found this company answered all my questions honestly and catered to my needs. They also gave me the best quotation but I had already decided to hire them on the first meeting. I would highly recommend them. Thank you for your very kind feedback. It was an absolute pleasure providing you with your Solarworld solar pv system and we wish you many years of happy solar generation. From first contact this company behaved with minimum fuss and maximum efficiency. 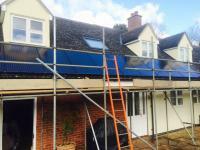 The scaffolders came on Thursday and the installers on Friday and everyone was courteous and respectful and helped with the completion of the appropriate forms. By lunch time the system was up and running and all I have to do now is wait for the feed-in tariff to arrive! 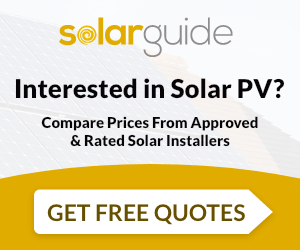 I would recommend this company to anyone interested in Solar PV installation without any hesitation, their professionalism is second to none. This firm was the 'nearest' local firm - they worked quickly, quietly and most efficiently installing 2 x 4kWh arrays (one for my neighbour) between 8am and 6pm. I would thoroughly recommend them anywhere. In other words "did everything it said on the tin". 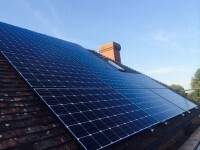 Aniron Renewables are MCS accredited engineers who supply and install Solar PV. 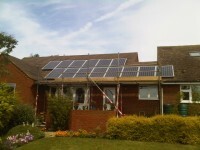 For similar installers in this area please visit the Northampton solar page. "I just want to write and thank Aniron for our recent solar panel installation which went without a hitch, was delivered when arranged and completed within a single day. Ian was very helpful pre sales and Brett was brilliant on the day keeping us well informed of progress, and then coming back the following day to fix a minor problem. Many thanks guys. 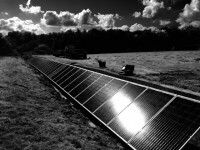 Will definitely recommend Aniron to anyone contemplating solar power."